Taking calculated risks are an every day thing in business. Entrepreneurs around the world face similar challenges when considering whether to go into business for themselves, regardless of the market they are in. Many of the lessons learned opening up a business are universal. Recently, OVP Management Consulting Group got a chance to meet a new entrepreneur in the health & fitness arena in Europe. 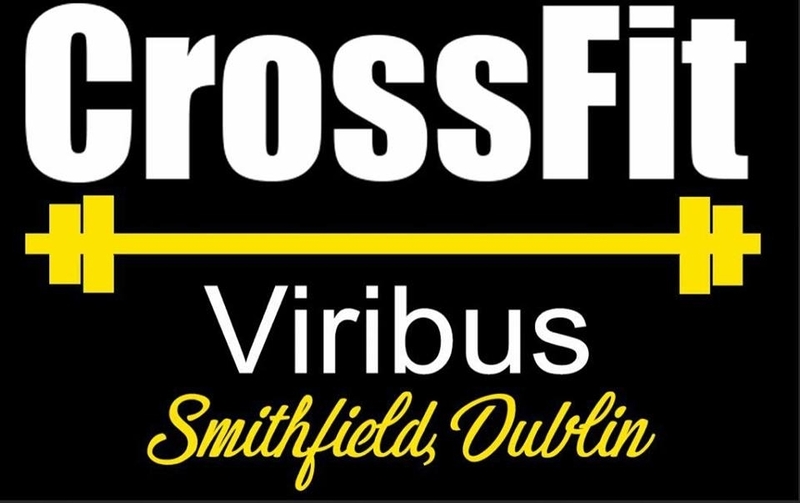 We sat down with Ash "Coach Ash" Hoctor, the co-owner of Viribus CrossFit, in Dublin, Ireland, to talk about his experience being a leader of a new business venture. Coach Ash, along with his business partners Stephen Crockett and Marty Crockett opened a "CrossFit box" earlier this year in the Smithfield neighborhood of Dublin. OVP Management Consulting Group (OVP): What is the meaning of your company's name Viribus CrossFit and how did you select it for your business? Ashland Hoctor (Coach Ash): Viribus is latin for strength. Myself, Marty and Stevey have been passionate about sport and fitness. Played soccer and boxing and weight training at a young age. It was about getting stronger a motto that we have in the gym – getting stronger. That relates to Viribus. OVP CONSULTING: What is your role in your organization? Coach Ash: I'm a co-owner. There are three of us, Stevey and Marty. We've known each other since we were in school together; over 20 years. When we were growing up and training together, it was a dream of ours to set up a gym. We’re from Derry in Ireland. We chose Dublin because we wanted to come home after having lived abroad for so many years. 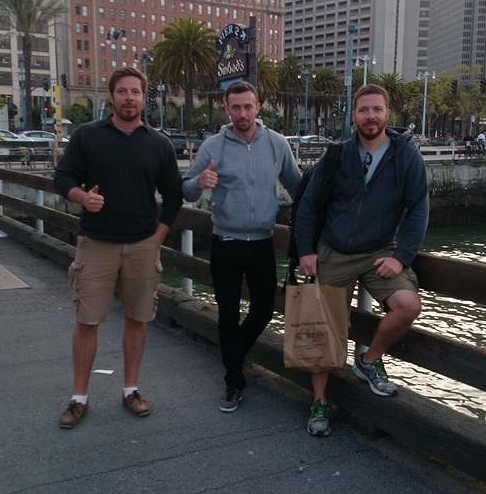 Now, we can get the experience we had (with CrossFit abroad), but now its at home. This is an opportunity that gives us the ability to meet different people from different cultures. Left to right: Stephen Crockett, Ash Hoctor, Marty Crockett. OVP CONSULTING: Why did you decide to get into the business that you’re in? Coach Ash: To be able to do something on a daily basis that you enjoy is something that not everyone can do. We’ve worked as teachers and were in the corporate world. About three years ago, we were in NY and we saw we could make that dream a reality. We started saving our pennies. We all enjoy it and believe in it. For us, Viribus is all about creating a community where the members can build friendships, motivate each other and achieve their fitness goals together. This is very important to us. OVP CONSULTING: In your own words, what is leadership and what does it mean to be a leader, in your organization? Coach Ash: I think for me, leadership is being an example for others to follow. You’re an ambassador for your company. You’re also a role model for how you want your business to be perceived. From a grander scale to the finer details, you are a reflection of that business. Being a leader is about being an ambassador for the business. Not many have this opportunity (to be a business owner). You want to make it work. If you're not doing the hard work, the business won’t work. Of course, you want to make money from the business and you want it to be successful. But you need to put in the hard work. OVP CONSULTING: What would you say are the top 3 qualities good leaders should possess and why? - Being resilient: You take set backs, but you keep moving forward and you learn how to problem solve and work around obstacles. Its not the end of the world if you come upon an obstacle. Its not all smooth sailing. You have to try to remain positive. - Being a good listener: Listen and look around what’s happening in your industry. You really have to become an expert in the field you choose to do business in. For us, that's CrossFit. Listen to your customers. We’re a new gym and we have a growing customer base. On a day-to-day basis you have to get their feedback. Also, listen to your suppliers. Being a good listener means taking the time to listen to somebody who could have a big impact on the business. - Being practical: Between the three of us, you always have a voice of reason. We all come up with ideas. But we can't implement all of them. You need to have someone that will tell you when they think something could be done a better way. OVP CONSULTING: Is there a leader (in any arena) that you look up to? If so, who and why? Coach Ash: Within CrossFit there isn’t one particular person. But, one person for me would be Arnold Schwarzenegger. I saw him at the Arnold Classic (Arnold Sports Festival event) and I read his book about body building and the effort that he put in to become successful. One of the things he did was he did his market research for every business venture that he went into. You need to do your market research. I read his book Total Recall: My Unbelievably True Life Story and I learned a lot from that. It is very inspiring for any aspiring entrepreneur. You can take a lot away from it. OVP CONSULTING: What is the best piece of advice about leadership that you’ve ever gotten? Coach Ash: When I worked in the corporate world, a previous manager said “it always helps to build a good network of people.” Network within your business and find experts. Now we’ve taken this to Viribus CrossFit. We all have our strengths and weaknesses. We want to be the best CrossFit gym in Dublin, and the people we work with should reflect that aspiration. It’s based on friendship. OVP CONSULTING: In closing, what advice would you give people that are either new leaders of people or people that are looking to improve their leadership skills in the future? Coach Ash: For me, within CrossFit the learning never stops. Always keep on top of what’s happening in your industry. Without that, you have very little. (In CrossFit) People are relying on you to give them good programming and good workouts. You always have to keep on top of the latest trends and information. Become an expert about your industry. And always keep learning. For us at Viribus, being the Best means that our reputation is solid and people are achieving the personal goals they set for themselves when they came to us. Member satisfaction is key. It is a passion project for us. OVP CONSULTING: Thanks for taking the time to share your thoughts.